I am here to review the Starlooks (December box) which contained an awesome palette! I mean I don't have to say much right? You see the photo below! 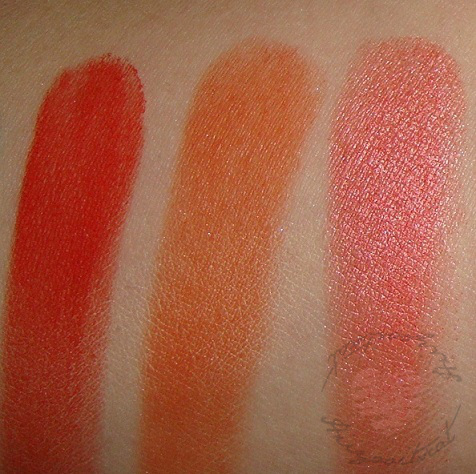 Now read on to see the swatches and my thoughts about it! I was so excited that I forgot to take a picture of the box haha. The palette was secured between 2 felt type fabric and some pretty silver confetti. For December we were given this awesome 15 pro palette by Starlooks! there were no quartz in my box ><.. not sure if that was meant to be lol. It was a great thing to see in my box. What is so special about the palette you may ask? Well it is a limited edition. The colors for the palette were specifically chosen for this palette and are not sold individually! So this palette is suppose to be retailed as $99! Isn't that amazing? a $99 palette for $15! That is approx. $6.60 per shadow! Amazing colors very pretty and wearable for any skin tone. They have brights, lights and some dark tone colors. Since last month we were given a neutral palette I am very happy that they did a colorful quad. What else is great about this palette? Well it contains a variety of textures. In my opinion I have to say there are matte, velvet, satin and shimmery shadows. The size of each shadow can be compared to Mac refill pans, which retail for $12 (without the pot) with the pot they are $15! I don't own any urban decay shadows but they look to be around the same size and those are sold in the pots but can be removed to be put in a palette and those are $18!.. So I would say this palette is an awesome deal. The top of the palette is clear so you can see the colors and the bottom has a nice weight to it. The package itself is really sturdy, I would not worry about breaking it if I dropped it (don't recommend trying that though haha). It is not bulky and fit in well with the rest of my palettes. Very sleek and clean looking. I love that even though it is a 15 pan palette, it is very compact. Unlike last month's quad, the shadows are secured within the palette and you don't have to worry about them it falling out. The clasp is also very sturdy but stubborn in my opinion. Sometimes I have to inset my nail under the clasp to open it and it annoys me because it messes up my nail polish. However, there are there is an indent on the top for you to open with your thumb, still is a bit stubborn. It both a good thing and a bad thing. If you drop it or toss it in your bag it won't open easily. 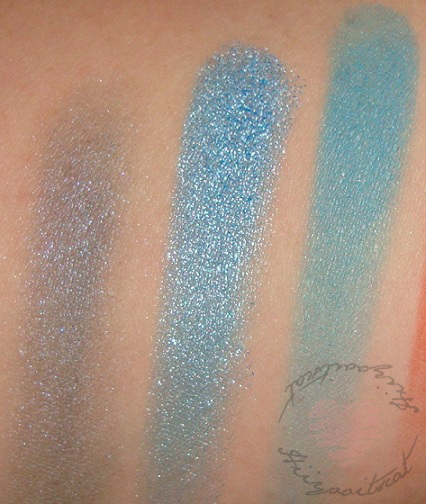 The colors are so pigmented and very pretty. I don't think my camera did the pigmentation any justice. My favorites so far? I used this for Christmas along with last month's quad and the colors went well together and the look was amazing! Sadly I forgot to take pictures but I can recreate the look for you guys if you like =) The blue and the green I circled are somewhat of duo chrome shadows! so pretty! The blue has a purple tint in it and the green has a goldish tint in it! Very very pretty! 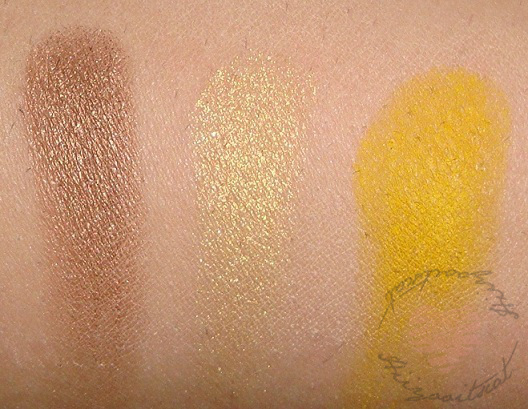 So I have a lot of Mac shadows and there were some colors I wanted to compare. I stated previously that these shadows alone can retail for ~$6.60 and the Mac one's are $12. Here are the ones I have that I found can be dupes. If you liked this palette and are interested you can check their website to see if the December box is still available. I believe you would be able to get it for $25. Worth a try! EDIT: I just looked at my friends post on her palette and it is slightly different than mine! So I guess there were different variations of the pro palette!! That is awesome! Then it really is a surprise! 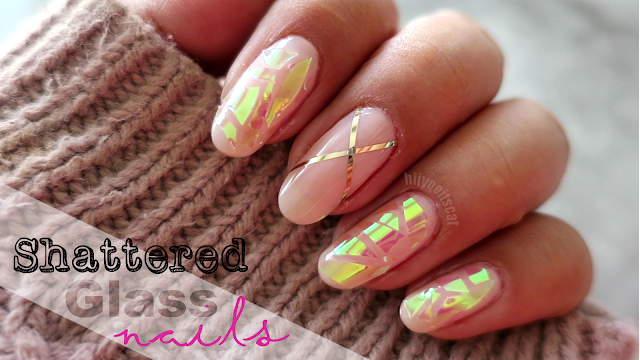 Check out her post here>> Melissa's Post. I know right?! Can't wait to use the bright colors!